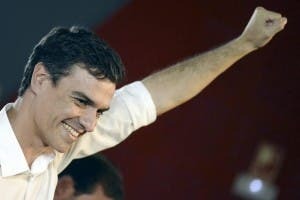 RELIGIOUS education could be a thing of the past if PSOE candidate Pedro Sanchez triumphs in December’s general election. If Sanchez is named prime minister he has vowed to pull religion courses form both public and private schools. Sanchez would only allow religious education courses to be taught as extra-curricular activities outside of school hours. He claims that religion ‘should no longer be forced upon children’s schooling’. However his plans have already met strong opposition from the Catholic church. “Sanchez’s proposal is just a way of stirring up problems,” Spanish Catholic Bishop spokesman, Father Jose Maria Gil, said. “Sanchez needs to keep in mind that most people in country, the people voting for him, are Catholics. A bog-standard politician talking sense? The men in frocks won’t wear this. 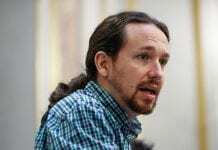 He sounds more like a Podemos contender, perhaps he should jump ship. Good news, but I won’t hold my breath. A good idea from the PSOE. 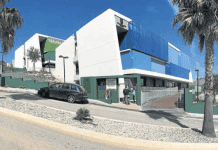 Many of the international schools on the Costa’s that I’ve heard about do not offer any religious education on purpose, replacing the subject matter and teaching mutual respect and independence. I think the best start for any child is one without any religion to hold them back later in life. sensible post, I especially like the last sentence. Reality check – so much slaughter and destruction can be laid at the door of religion. Sounds like progress. Let kids think things out after leaving school, college or university.